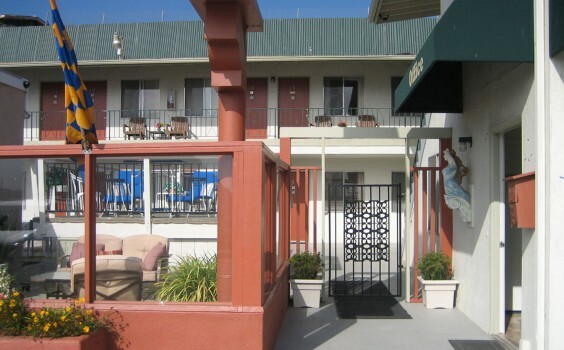 Superior central location with a short walk to Morro Rock, across from the harbor restaurants and shops. Enjoy breathtaking evening sunsets while you sip a glass of Central Coast wine. In the morning watch the fishing boats coming and going while you enjoy a cup of coffee with delicious home made Cinnamon Buns available daily, piping hot from the oven of the onsite restaurant. The BAYFRONT INN at the waterfront is a unique 16-room European style hotel and the closest location to The Rock. Most of our second floor rooms offer breathtaking unobstructed views of Morro Bay and its abundant sea life, famous Morro Rock, beautiful Estero Bay and the Pacific. Seven of our rooms are Pet Friendly. Read MoreThe BAYFRONT INN at the waterfront is a unique 16-room European style hotel and the closest location to Morro Rock. Most of our second floor rooms offer breathtaking unobstructed views of Morro Bay and its abundant sea life, famous Morro Rock, beautiful Estero Bay and the Pacific. Enjoy breathtaking evening sunsets while you sip a glass of Central Coast wine. Built in 1963, the Bayfront Inn retains its motel-style lodging typical of this time. The property has not been substantially updated, to maintain its charm and character. The rooms are small and do not meet modern standards for accessibility. The bathrooms offer step up showers only. Upstairs view rooms are only accessible by a stairway. Call for more information. 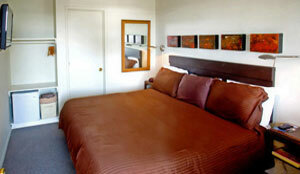 While the rooms are small, they are extremely clean, very comfortable, and in the best location. All rooms are equipped with a small refrigerator and a coffee maker. There is a ice machine and microwave in our Galley. 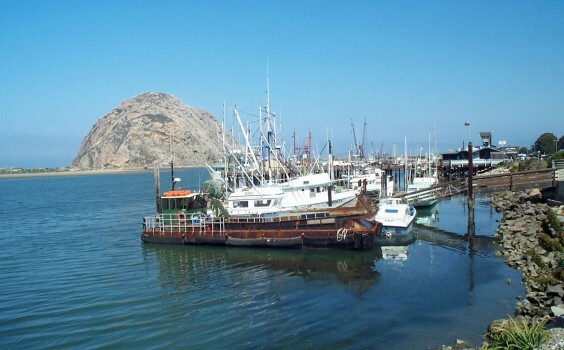 Some say Morro Rock, one of nine distinctive formations, is the town’s most defining geographical feature, punctuating the most beautiful natural harbor on the West Coast. 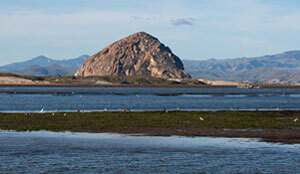 Morro Bay provides leisure activities for everyone. We welcome our guests with world famous Crill’s taffy. Freshly baked cinnamon buns by the award winning chef at Frankie and Lola’s Front Street Cafe, our onsite restaurant, are served daily.